New Delhi [India], Nov 15 (ANI): State Bank of India (SBI) Chairman Rajnish Kumar on Thursday informed that Pradhan Mantri Jan Dhan Yojana (PMJDY) enrolled 300 million people from the low-income groups in the banking system in one year. Sant Kabir Nagar, (Uttar Pradesh) [India], June 28 (ANI): Prime Minister Narendra Modi on Thursday said that the greed for power has united the imposers and critics of Emergency. New Delhi [India], Mar. 13 (ANI): The State Bank of India (SBI) announced a substantial reduction of charges for non-maintenance of Average Monthly Balance (AMB) in savings accounts, effective April 1. 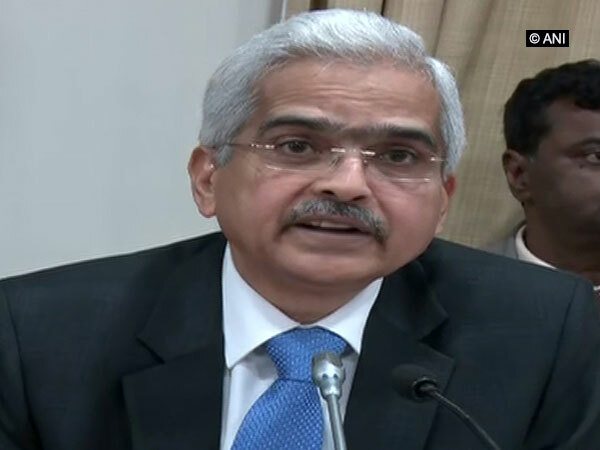 New Delhi [India], Nov. 30 (ANI): In a bid to protect farmers and rural Jan Dhan account holders from money launderers, the Reserve Bank of India (RBI) on Wednesday announced a temporary measure by notifying that they will be allowed to withdraw only Rs. 10,000 per month. New Delhi [India], Nov. 23 (ANI): Ever since Prime Minister Narendra Modi announced that Rs. 1,000 and Rs. 500 currency notes would no longer be legal tender, the bank accounts opened under the Pradhan Mantri Jan-Dhan Yojana (PMJDY) witnessed a massive jump in their deposits.